Education and support is KEY when talking about helping teenage parents thrive in life. That is exactly what Vickie McBride's mother provided her with when she gave birth to her first child, Maurice, at 13 years old. Vickie McBride gave birth to her son, Maurice, at the age of 13. Even though whispers spread throughout her town of Waynesboro, Ga, with the help of her mother, Vicki continued her education . 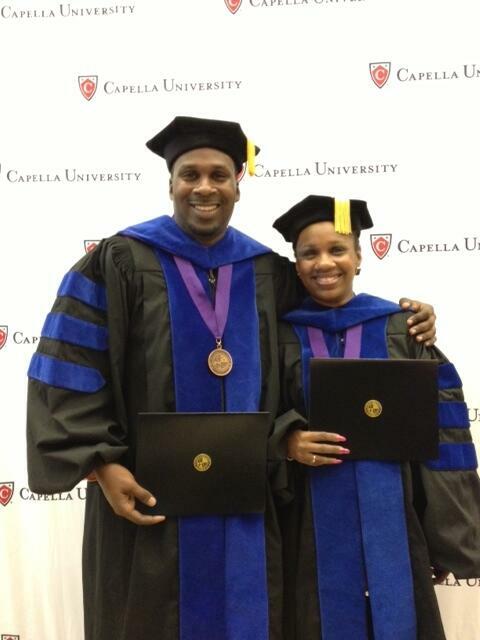 She made it to college and graduate school all while raising Maurice and eventually 3 other children. “As a teenager I continued my education. That was never an option,” explained Vickie.She made it to college and graduate school all while raising Maurice and eventually 3 other children. Despite the overwhelming amount of pressure from everyone and everywhere that teenage parents are subjected to, BOTH McBrides have graduated with the PhD's TOGETHER! Talk about an amazing story of support, education, dedication, and ambition. Don't stop because society or someone tells you "you can't" after becoming a pregnant teen or parenting teen. They're WRONG!